An inspiring and creative guide to documenting your travels, both global and local, using textile art. Acclaimed textile artist and teacher Cas Holmes, whose work is often inspired by her life and the journeys she makes, helps you find inspiration through your own life and explains how to record what you see in sketchbooks and journals, which can often become beautiful objects in themselves. She explains how you can use photography, both as documentation and as inspiration, and sometimes incorporate it into the work itself, along with found objects and ephemera. 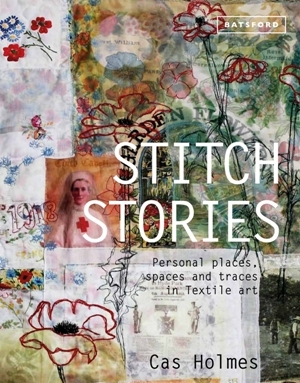 Throughout the book are useful techniques that can be harnessed to add extra interest to your work, such as methods for making layered collages, how to 'sketch' with stitch, and advice on design and colour. If you want to create beautiful, unique work inspired by your life and travels, this is the perfect book for you.